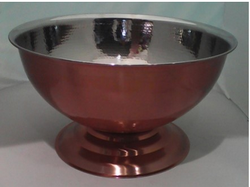 We offer different sizes from 4" to 12" of punch bowls in chrome finish. They look brilliant on any buffet station, dessert counter. They can serve wide ranmge of food items like chocolate moose, puddings, cold salads, dahi-wadas. Can also act as champagne chiller. Refer mk-184 in the bar ware section. - Punch Bowl with Hammer effect. 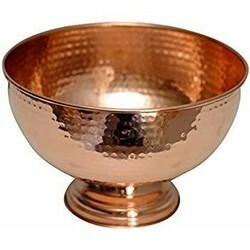 Punch Bowl, Size: 4" To 12"
Choose from our wide range of Pure Silver Bowls. This pure silver bowl is available in various sizes to meet individual need and suit every budget.